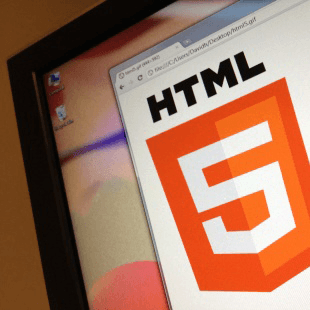 The growth in HTML5 enthusiasts, programmers and content creators was fantastic and truly indicative of how much interest there is in HTML5. It is often used for mobile websites and mobile applications on mobile operating systems such as Firefox OS, Sailfish OS, Tizen, and Ubuntu Touch. It provides developers with tools such as Offline Web Storage, GeoLocation API, Canvas Drawing, CSS3, and many more. After observing the trend of mobile game app in the market, various people have started looking for the finest approach in game application development that can reach maximum users, is cost-effective and gives the best user-experience. Mobulous has a long streak of successful mobile application development, our expert mobile application developers have been providing our mobile application development expertise of HTML 5 to various clients, with successful development of 211 apps. With over 250+ amazing apps developed and delivered successfully, Mobulous Technologies is a top-notch mobile application development company offering integrated,vibrant and streamlined solutions to businesses all across the globe. We have a terrific record of delivering incredible and innovative apps that have scripted many success stories of brands across the globe. Our technically well-versed and highly skilled team of 50+ Developers, UI/UX Designers, Testers and Project Managers is a bundle of tech-nerds. Our extensive experience in the mobile world enables us, to develop and deliver breakthrough mobile solutions in various verticals including Enterprise,Navigation, Health Care, Wearable Technology,Augmented Reality, Games, Consumer, Media, Finance etc. We offer complete end-to-end mobile solutions across all major platforms including iPhone, iPad, BlackBerry, Android, Windows etc. By leveraging mobility, here at Mobulous, we offer strategic partnership to increase business efficiency and maximize profit.